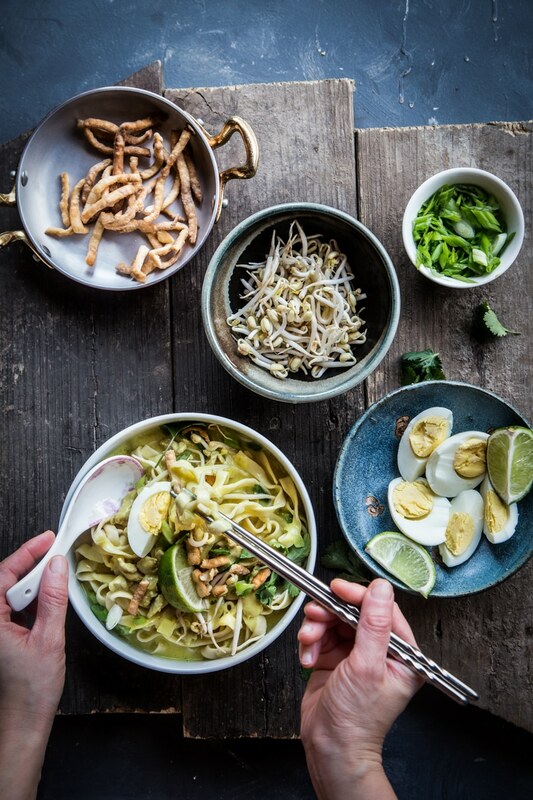 Ohn No Khao Swe is Burmese noodle soup served in coconut broth slightly thickened with chickpeas (besan) flour and topped with crunchy fried egg noodle strips. 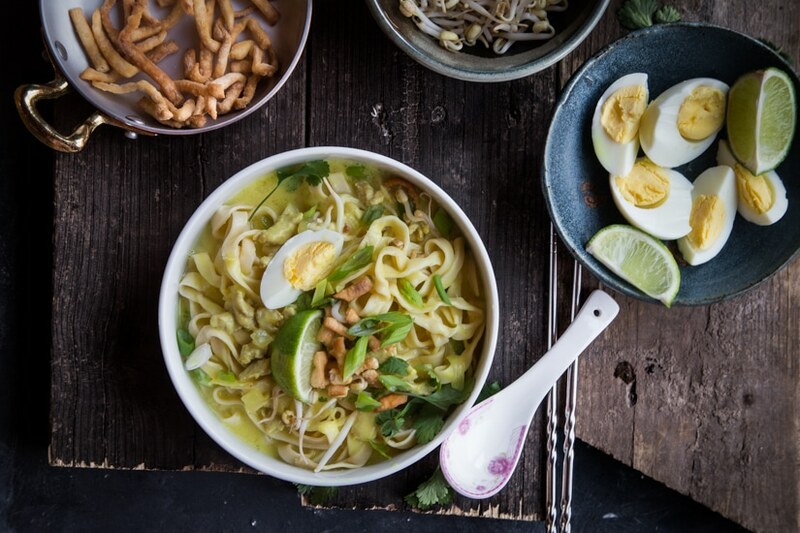 So simple to make and incredibly satisfying! Don’t take my words for it. Try it! 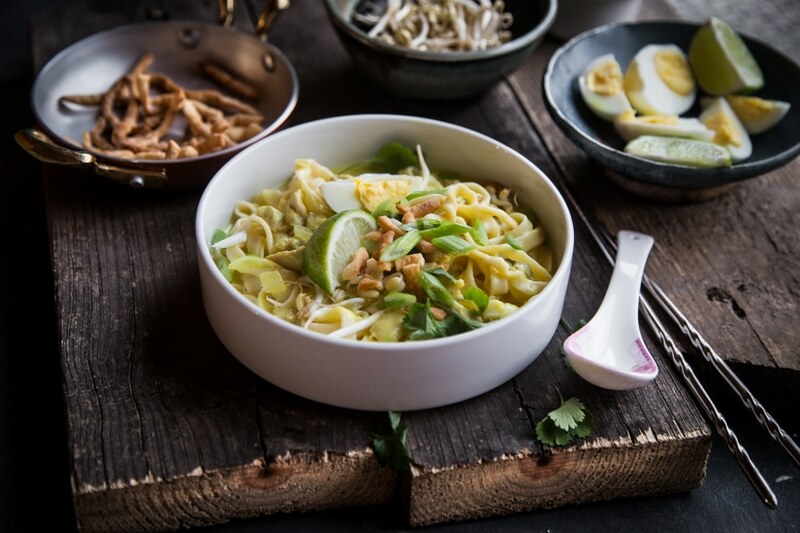 This coconut noodle soup from Myanmar or known as ohn-no khao swe is not only a perennial favorite in Myanmar, it has become our favorites as well. 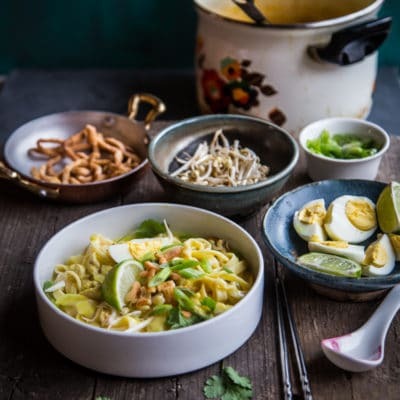 The soup is made of coconut milk, which made it very creamy and tasty and thickened with a chickpea flour or known as besan flour (common in Indian cooking too). 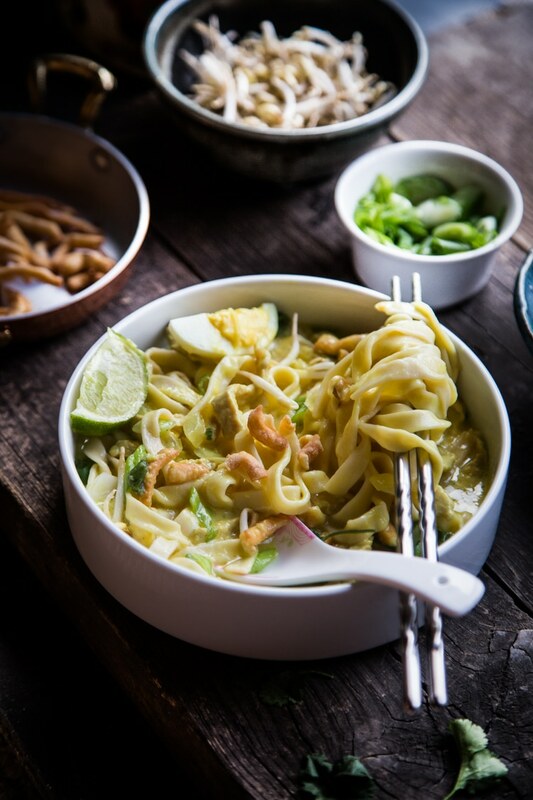 Some said that the Thai version of Khao Soi is originated from Myanmar. 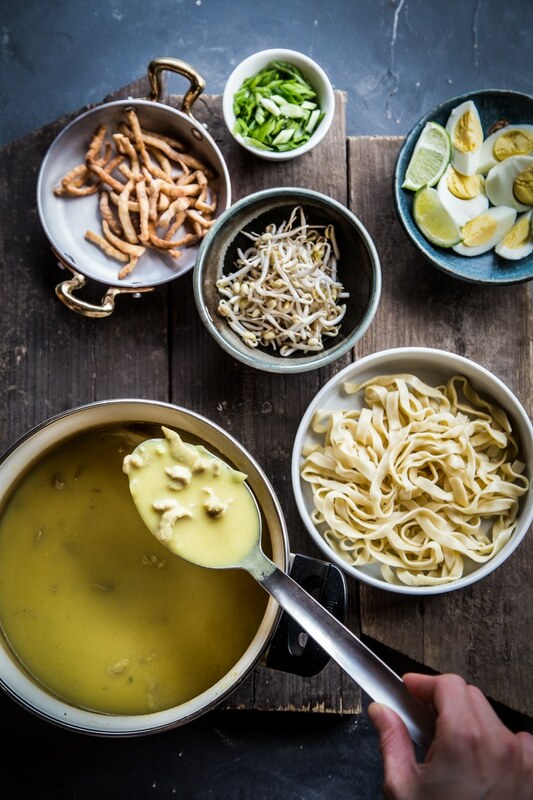 This chickpea flour gives the soup a wonderful body. 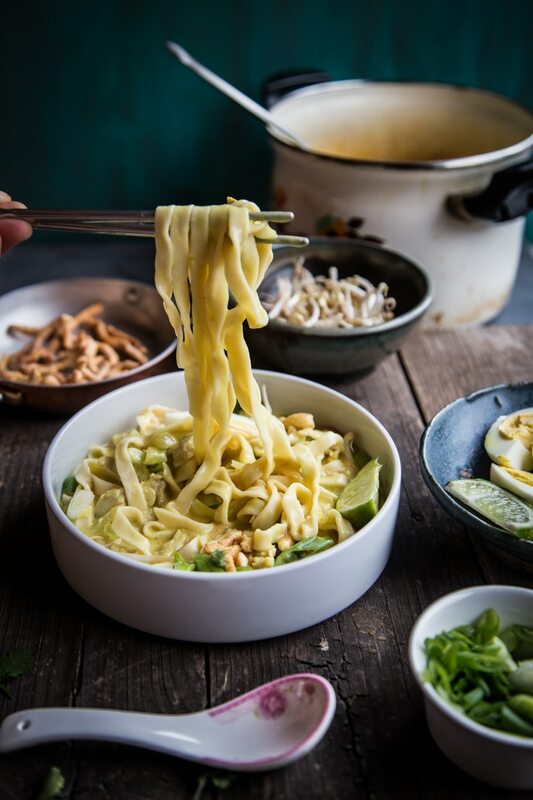 The noodles are then topped with deep-fried egg noodles, which gives a wonderful contrast in texture when you eat the whole dish. 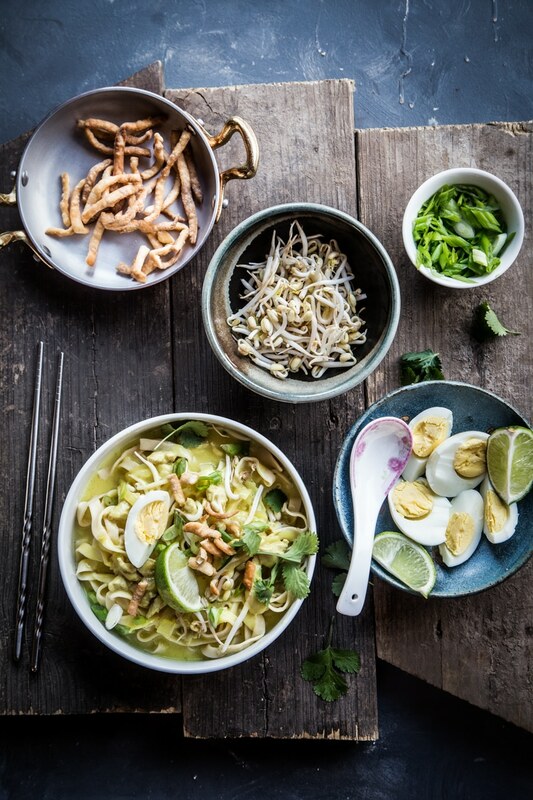 Something so simple, yet very satisfying and tasty. 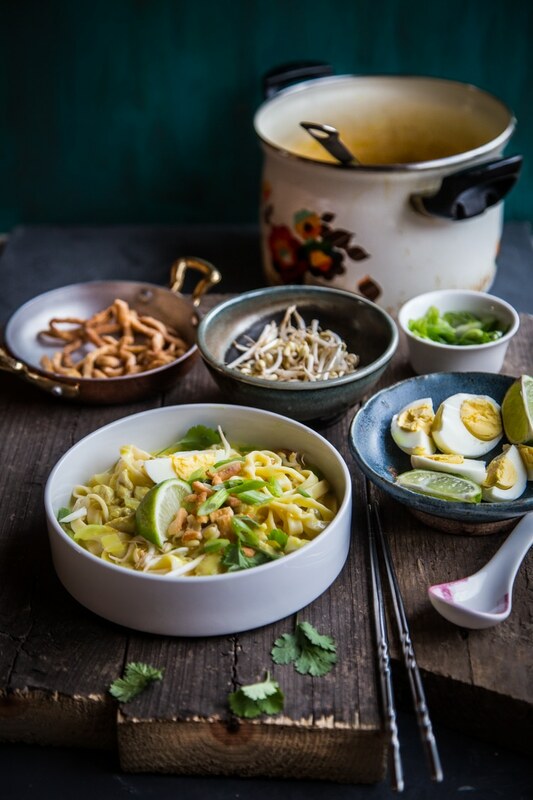 When I was invited to a party by my Burmese friend and her mom made ohn-no khao swe, I was beyond thrilled to see that!